In my wanderings through the audio landscape, I've spent a fair amount of time at KQED in San Francisco, where I revently had the privilege of meeting the one and only Ian Shoales. 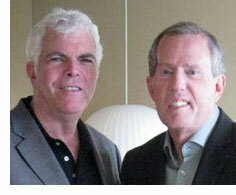 With help of the fine folks at KQED, I am now able to present Ian Shoales' brilliant work as a part of this podcast. This time around, a commentary on our Friends Siri — and Newt. "...there seems to be some evidence, especially from one of the experiments." Last year, I had the privilege of speaking with Lisa Randall, who works two critical sides of the science world. She's a leading theorist, suggesting what experiments might do and what they might find if they do what she suggests. She's also a strong proponent of the value of science here in America, where we sometimes seem to be turning away from the importance of the scientific method. I was honored to have her offer to call me from Geneva, Switzerland, where she was one her way to work at CERN and help them prepare for the increased LHC time this year, so we can finally learn if the Higgs field and the Higgs Boson are what we think they are. As a physicist, she emphasizes that she is not predisposed to one notion or another. For example with regards to the Higgs Boson, she'd be happy to find indisputable proof of its existence; but if the experiments proved otherwise she'd not be disappointed. In some ways, she'd find it more exciting. Her emphasis is on finding out what is real. She recently did an interview with the New York Times on the search for the Higgs Boson, and wrote an article for Newsweek. Reality figures in the other aspect of her work as a scientist, that of promoting the import of the scientific method to advancing the common interests of humanity. As told in her book, 'Knocking on Heaven's Door,' the original plan was to build the supercollider that ended up in Geneva in the United States, but Congress killed the funding. That sort of thinking, and the fear of the advanced ideas in science, will harm our efforts in other realms; from the economy to the ecology. Her essay over CNN is an eloquent reminder that the United States, indeed the world, needs to embrace science if we are to meet the challenges that face us. 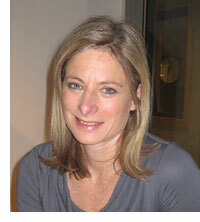 You can hear the latest report from Geneva, Switzerland and Lisa Randall by following this link to the MP3 audio file. Here's the twenty-sixth episode of my new series of podcasts, which I'm calling Time to Read. The podcasts/radio broadcasts will be of books worth your valuable reading time. I'll try to keep the reports under four minutes, for a radio-friendly format. If you want to run them on your show or podcast, let me know. The twenty-sixth episode is a look at Steven Naifeh and Gregory White Smith and their new book, 'Van Gogh: The Life,'. "...it's all about the details..."
John Lescroart (less-KWAH — his number one FAQ) is every bit as enthusiastic and engaging as his latest novel, 'The Hunter.' Perhaps that's at least in part because, due to a missed link, I ended up rousting him from his writer's garret so he could pop in his car for the hour-and-a-half drive from his place in Davis down to the studios of KQED in SF, but I have say this man has enough energy to generate a lot more books — and that's great news for readers. I try not to make assumptions when I talk to a writer about how a book is written. But when a book reads as easily as 'The Hunter,' it's really tough not to think that the author just dashed it off. Of course that was not the case, and in fact, this proved to be a particularly tough book for Lescroart, who ended up in unfortunate sympathy with his main character. He and I talked about how he creates this book and some of this other series, the Dismas Hardy novels. But that interview is for next time around, when we have more time to talk. I'm really looking forward to dipping into Lescroart's back catalogue, because these books are extremely easy and fun to read. They're superbly well-written, with a deliberate light-heartedness that makes some the darker aspects entertaining even as they explore more difficult subject; in this book, abandonment and adoption. Lescroart's latest Dismas Hardy novel, 'Damage' is in the number one rack at my local grocery store, which I think is extremely cool. I love paperback racks in grocery and drug stores; they bring back memories and sell us book in unexpected ways. I think grovery stores would do well to bring back some of the walls of books I remember at the Lucky store back in Covina. And when they do, they'd be smart to make sure Lescroart was well-represented. 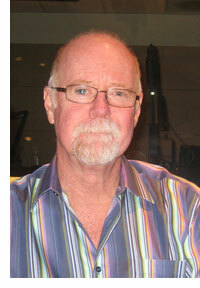 You can hear my conversation with John Lescroart by following this link to the MP3 audio file.